Alpena – Atlantic and pink salmon were caught in 150 feet of water at the “Humps” which are located 20 miles east of Thunder Bay Island. Salmon were caught in 85 to 95 feet of water. For steelhead, try 20 to 50 feet of water near North Point. Walleye action was slow in 12 to 18 feet of water. Alpena – Thunder Bay River – Walleye are hitting on jerk baits and catfish on worms. A couple nice smallmouth bass were caught on worms and leeches. Grindstone City – Walleye were caught in 25 to 40 feet of water here as well. 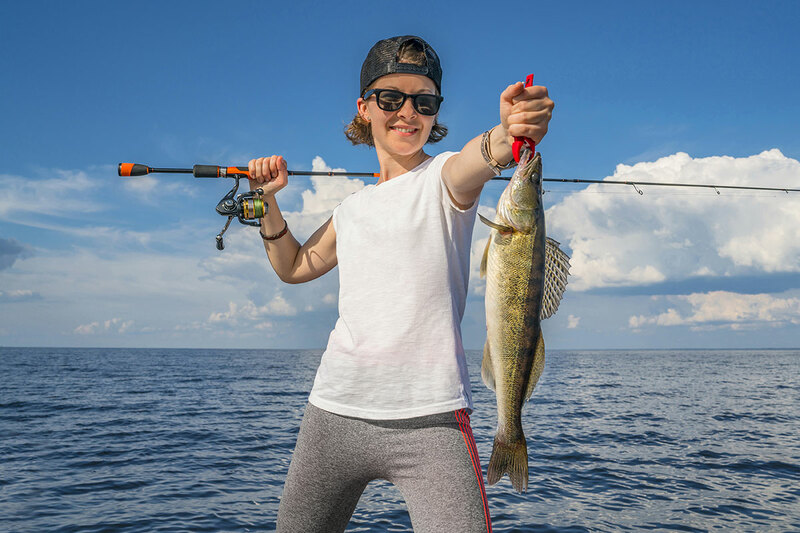 Harbor Beach – Walleye were caught on crawler harnesses or Hot-n-Tots in 40 feet of water. Smallmouth bass were taken off the pier. 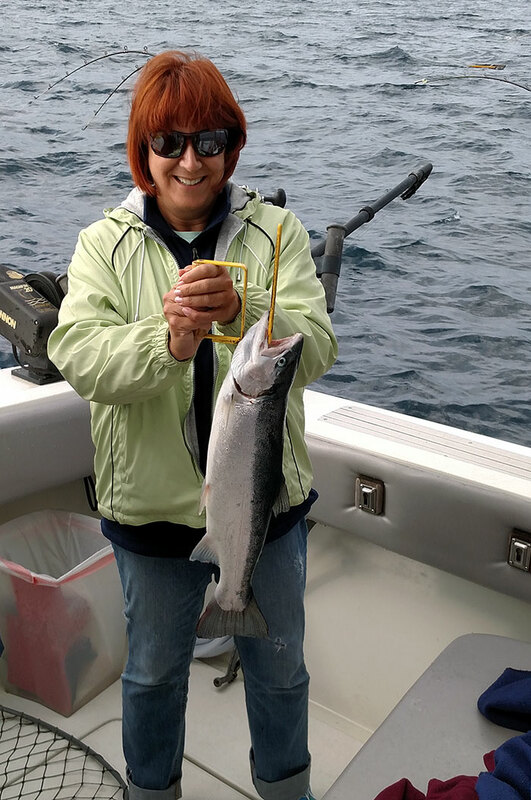 Harrisville – Fishing was slow but salmon, lake trout and steelhead were caught. The fish were out deep and hitting just off the bottom in 90 to 150 feet of water. Gold spoons were the ticket. Oscoda – Salmon, lake trout, steelhead and pink salmon were caught in 90 to 150 feet of water. 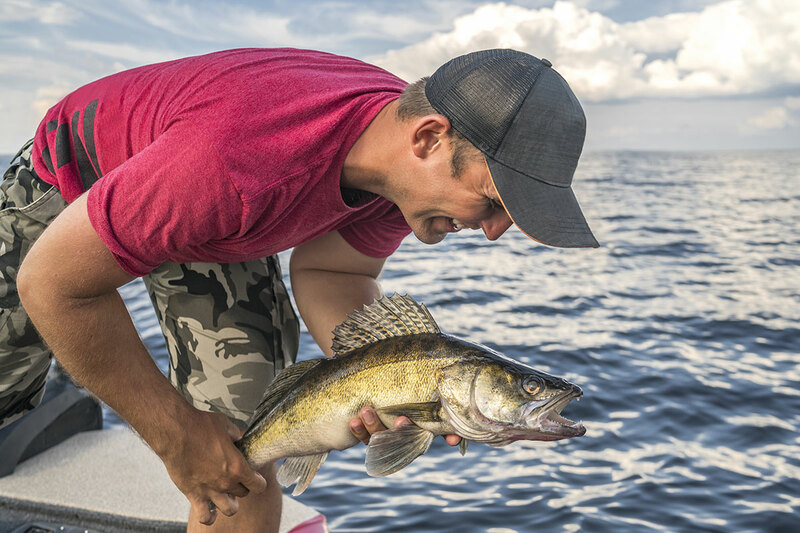 Some caught the occasional walleye. Oscoda – Au Sable River – Reports were light except for a few walleye. The current is flowing at a normal rate again and that may increase catch rates. Port Austin – Walleye were caught in 45 to 50 feet of water off the lighthouse. Lake trout were taken in 130 to 160 feet of water. Pier fishing was slow. Presque Isle – Look for structure in 50 to 120 feet of water straight out from the harbor, between the lighthouses, or north towards Black Point. Rockport – Chinook and lake trout were in 120 feet of water around Middle Island and 90 feet of water of around the Nordmere Wreck. Black and white spoons were taking fish. Steelhead were caught 20 to 50 feet down near the wreck. 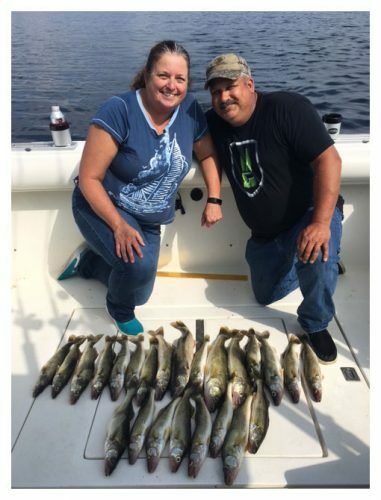 Rogers City – Has good fishing straight out or west towards Forty Mile Point. Fish the top half of waters 50 to 110 feet deep. Downriggers were good 25 to 55 feet down but leadcore in 3 to 7 colors off planer boards and dipsy divers were better. Good colors have been blue and silver, green and silver, yellowtail, purple, orange or black with white glow. The fish are eating smelt, alewife, and sticklebacks. 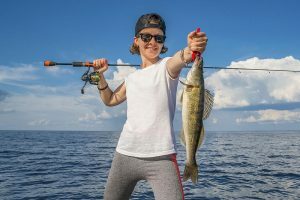 Cedarville and Hessel – Pier anglers at Hessel are catching salmon, pike, yellow perch and smallmouth bass. Yellow perch were also hitting in 9 to 12 feet of water outside the marina. Snows Channel is producing pike and smallmouth while Musky Bay is producing pike along the south shoreline in 6 to 10 feet of water. Cedarville Bay was spotty for perch. Lake Herring is very good with anglers taking their limits. The fish will move soon but are currently in McKay Bay, Prentice Bay and the Moscoe Channel. De Tour – Those fishing out around Drummond Island found walleye in 4 to 6 feet of water around Peck Island. Most anglers were using a crawler harnesses with bottom bouncers and crawlers or leeches. White and pink with spin blades worked well. St. Ignace – Chinook and lake trout were caught 10 feet off the bottom between Mackinaw Island and Goose Island. Early morning was best with green spoons. 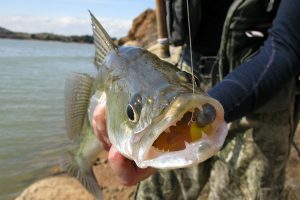 St. Mary’s River – Those fishing Raber Bay have caught limits of herring around Lime Island when using a tear drop with a wax worm. Walleye were caught in 30 feet of water north of Lime Island at the Bell Buoy and in the shipping channel.